Environment Protection! Create Green and Peaceful World! This is an invitation on Environment Protection page to protect your environment with millions like you, who are doing that right now. There are many dangers that face the environment right now you may be aware of; deforestation is not the least of them. Global warming becomes a fearful fact that causes some crises of the nature in some parts of our world today. Storms and draughts have increased as the result of global warming. The United Nation's Intergovernmental Panel on Climate Change says aviation causes 3.5% of global warming and the figure could rise to 15%. Environment Protection: Environmental Project has Launched by Khalid Osman in Eritrea 1992-93. Studies made to figure out dangers of climate warming estimate that global warming could cause massive food and water shortages and make large areas of the world uninhabited by people. According to the Encyclopaedia of Earth (Encyclopedia), global warming refers to the documented historical warming of the Earth’s surface based upon worldwide temperature records that have been maintained by humans since 1880s. The term global warming is often used synonymously with the term climate change. However, the two terms have distinct meanings. Global warming is the combined results of anthropogenic (human caused) emissions of greenhouse gases and changes in solar irradiance. Climate change refers to any change in the state of the climate that can be identified by changes in the average and/or the viability of its properties (e.g. temperature, precipitation), and that persists for an extended period, typically decades or longer. Read http://www.eoearth.org/article/Global_warming and see results at Green Peace and the following pages at my daughter's website at Climate Demonstration, with other pages on the website. Read more humanitarian activities including environment protection at hoa-politicalscene.com/environment-protection.html. See environment protection search results using the following search terms on the search box at the right column. Enter global warming + crises, or + causes. Participate in any activities concerning the Environment Protection in your area to save the globe. Through Environment Protection You Save the Earth! How to create generic ideas to involve the people? People always need some influencers and motivators to influence them. That's a nature and it's their nature to be influenced, as explained on the answer to the question: How to Positively Influence Yourself and the Others? Just when you live among people, you'll learn everything about them and know them better. You'll probably get on your way some kinds of knowledge to know how those people feel and think. You'll know what kinds of ideas that can influence them and how could they implement those ideas. So, as you learn from other people's personal experiences, I should say, while I was sharing the Eritrean people their country rehabilitation and reconstruction after the independence of the country in 1991, I thought about "How to create generic ideas to involve the people?" more than thousand times. Read about Eritrea at the political site linked above. As a journalist I knew already that the Eritrean people had lost about half a million of humans in the liberation war. The environment had been also degraded badly and there were chemical, weapons and human remains all over the country. 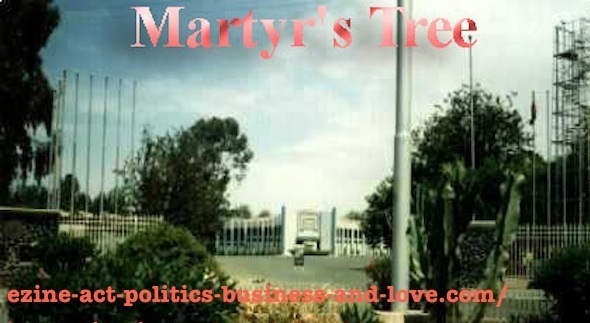 That was a light to create the idea of the "Martyrs' Tree" and inspired by an Italian lady who loved Asmara, as her home, when she thought of "birthday trees", I got the idea of some other trees for every family or national occasion, to get the life into the soil again. 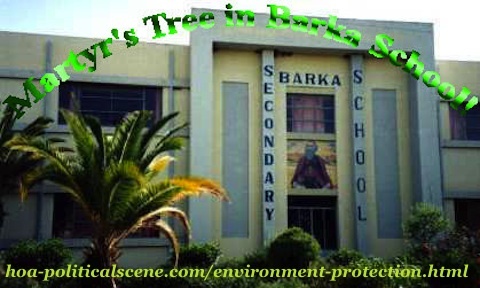 I Mobilized Barka Secondary School and so Many Other Secondary Schools to Play Combined a Good role to Protect the Eritrean Environment! The idea I used the media and discussed with different schools' directors, organized the students and invited every association and union to implement, cleaned the environment, covered the country by more than 5 million trees, and built it its own National Environment Organization. Read more about other environmental issues at the bottom of this page! You can make an Environment Protection online by only building a professional website to do that and more! 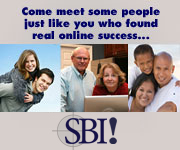 Visit the 5 pillars affiliate program. Join it and get the advantages that the 5 pillars affiliates have to share the successful net workers' discussions and e-courses; and build that well positioned and trafficked website and more! In addition to the Environment Protection, you may also be interested in the following articles in the Ezine Acts Humanitarian Network (site map 4), which is essential part of Khalid Osmans Network (site map 12) at the Ezine Act website, with the updates at the Ezine Act Blog. However the articles on this network have also other site maps included in the Ezine Acts Articles (site map 9 A), with its extension into Ezine Acts Articles Section (site map 9 B), Ezine Act Articles Index (site map 9 C), Ezine Articles (site map 9 D), Submit Articles (site map 9 E) and Submit Ezine Articles (site map 9 F). To read more about the Environment Protection and other political issues subscribe to "HOA Political Scene Newsletter" here use the simple form at HOA Political Scene Newsletter and get some invaluable ebooks to read and improve your life. Are you ready to participate in any Environment Protection activity, or in any humanitarian network? I am just right here beyond those lines, too close to you to close you in this circle of success, if you wanted to do any activities like what you read here in your society. Just ask. I call you to support the "Environment Protection" and those humanitarian organizations and to support me too. To support the "Environment Protection" at the Ezine Act and to read updates right click on the red RSS button you see at the top of the left column, or bring it wit any web service you have to read it. Follow the instructions from there. If you found this page about the environment and the protection tips useful, please like and tweet it using the small buttons at the top of the right column. Thanks. The following Solo Build It website building, automating, optimizing and monetizing tools empower the Environment Protection page and the entire Ezine Act website. You can use them to empower any humanitarian project you have in mind, or to build a home based business to improve your life.